Range and Change Anxiety: Electric Cars Are More Like Your Company Than You Think…. Earlier in the week here on FOT, Tim Sackett wrote about change and the tendency of people and organizations to resist change, particularly when they sense that making significant changes to a given practice or process requires a more fundamental shift in thinking and perhaps presents a threat to a status quo that they have invested in heavily. Tim argues, correctly I think, that often what we perceive as the ‘new normal’ comes about mainly by small, subtle, almost imperceptible shifts in behavior. But not all organizational or societal challenges or competitive opportunities can be successfully met by the kinds of small changes that most of us (and our organizations) are comfortable with. Sometimes and seemingly more commonly, the challenges that face us and our organizations require more significant changes, and often not just initial and incremental changes to a specific practice or approach, (we will now do panel interviews instead of a series of individual ones), but more deep and fundamental kinds of changes, (which, unfortunately for many of us, are exactly the hardest kinds of changes to make). And the other challenge with more systemic or profound change is predicting and coming to terms with the downstream impacts of the change. What got me thinking about change and the sometimes surprising impacts of change is a concept from the emerging Electric Vehicle (EV) industry called ‘Range Anxiety’. 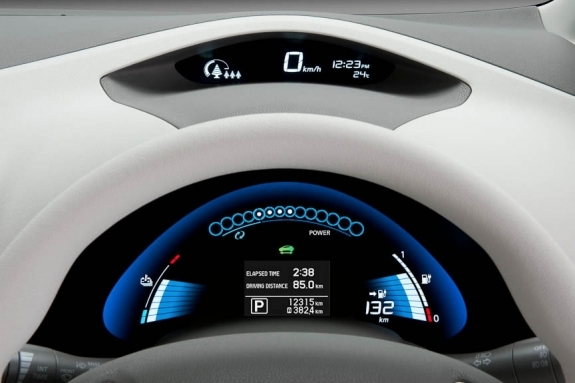 Pure electric vehicles like the recently released Nissan Leaf have limited effective ranges (around 80 – 120 miles, depending on conditions), on a full battery charge. Range Anxiety refers to the feelings of worry and fear that EV drivers experience while driving – watching the battery charge dwindling and the looming uncertainty of locating the next available charging station. Range Anxiety, or simply the ‘What am I going to do if I run out of a charge and can’t find a charging station?’ is one of the main decision concerns that potential EV buyers have to resolve. But the truth about Range Anxiety is that it is (largely) unfounded. Most drivers, at least in many parts of the country and world, don’t drive more that 100 miles in a day all that often, and assuming they start the day with a full charge, Range Anxiety should not be much of a concern. Still, the EV industry knows it has to work to address Range Anxiety by aggressively and simultaneously educating the potential market (you really don’t drive more than 100 miles that often), and building out a network of EV charging stations to address not only the ‘real’ need, but the perception of need. One Nissan executive recently observed that the distribution of chargers today was more about reducing range anxiety than actually answering driver’s needs. Nissan and the other makers of EV’s have not only to address the initial reticence of consumers accustomed to 100 years of gasoline-powered transport, but also a wide ‘range’ (sorry for the pun), of downstream changes and the corresponding resistance that often accompanies major change initiatives. They have realized that no matter how often they tell consumers that Range Anxiety is mostly imagined, the market will demand an adequate solution to the problem, even if it doesn’t really exist. If you really want people to change, be it your staff, your leaders, your customers, whatever – you have to be ready to address all kinds of anxieties, both real and imagined.